Thanks to a long list of very generous people we have raised a total of £8539 during our #Vets4Vultures campaign. The campaign to raise funds for our 2018 Raptor Rehabilitation Programme activities started in September when the Association of Zoo and Exotic Veterinary Nurses raised £542 by taking part in a Rough Runner in London. Five vulture keepers cycled from Clapham Common the next day to Brighton and raised a further £874. WVI would like to thank everyone who took part in either of these events. A series of articles in the veterinary and animal press throughout the end of October and November kept the momentum going while those in the WVI office beavered away behind the scenes building support and momentum for our live performance at the London Vet Show. At 10am on Friday 17th, keepers Holly Cale and Adam Bloch arrived at ExCel with Salem. Salem is a very experienced 3 year old hooded vulture, however he had never been anywhere quite like ExCel – who has? We had no idea quite how he was going to react and putting him back in his carrier box as soon as he was taken out and cancelling our day was a distinct possibility. However, he was amazing. Once he had got used to the lights and the fact he was not allowed to sit on top of the stands, he thoroughly enjoyed every photocall. Adam carried him from one WVI corporate supporter to another. Salem preened between photoshoots while we explained to interested parties that Salem was at the London Vet Show to raise awareness about the plight of vultures in the wild and what WVI is doing to help them. Holly, who trained Salem once he was old enough, explained were Salem came from. Salem was captive born at the International Centre for Brids of Prey, Gloucestershire. He was raised in a crèche and trained to be handled once old enough. This means that not only can Salem act as an ambassador for his species, but it keeps him fit and interested before he goes in to a breeding colony when he reaches puberty (5 Years). The London Vet Show was followed swiftly by The Big Give’s Christmas Challenge 2017 during which we raised our target of £3,000 for #Vets4Vultures. Therefore, we have also been able to claim our full quota of match funding (£3,000) from Virbac UK, Vetronic Services Ltd, Kirkleatham Owl Centre and The Reed Foundation. In fact, donations continued to come in after the deadline on 5th December and together with GiftAid we have raised £6623.75 through The Big Give. We would like to thank the organisers of the London Vet Show for being so enthusiastic and providing us with an ‘off show’ area where we could take Salem if he needed it. And all our corporate supporters for inviting him on to their stands and of course to all the delegates who took pictures and went on to support the #Vets4Vultures. To keep on with the success, NationWide Laboratories have donated £500 towards this project and Kirkleatham Owl Centre would like to donate more than they had committed to during The Big Give Christmas Challenge. Vet Stefan and vet nurse Matt head out to India to assist the Jivdaya Charitable Trust on the 13th January with their temporary avian A&E, set up just for the period during and after Uttarayan/International Kite Festival when thousands of birds, mammals and people are injured by cutting string used during the kite flying competitions. Raptor surgeon Neil Forbes will already be in South Africa as part of the Vulture Alliance, running three workshops for vulture rehabilitators and vets. 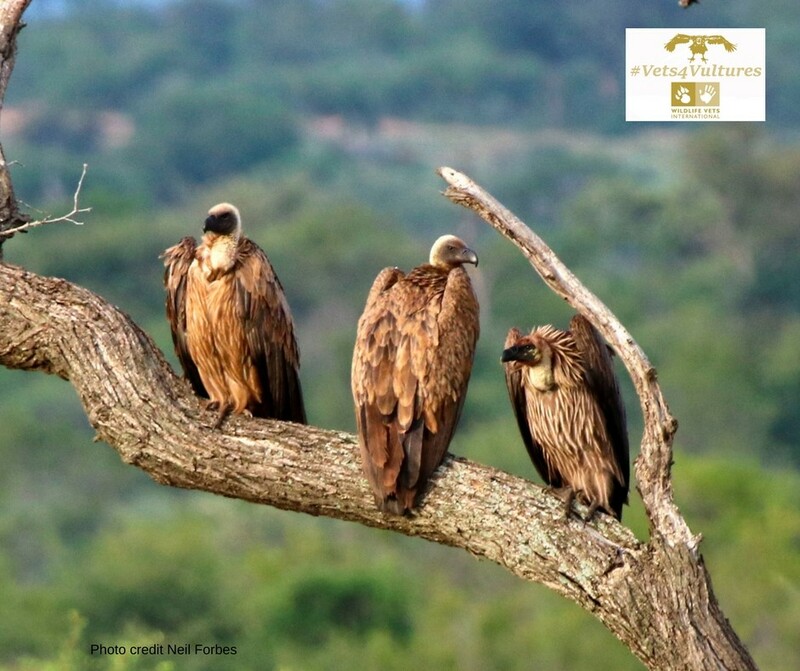 The official #Vets4Vultures campaign may be over but we still have a further £6,000 to raise to cover all our activities in India, South Africa and Bulgaria later in the year. And it would be nice to start funding the ‘would be nice’ list and there is always 2019 activities. You can help by spreading the word, use the 10 reasons to love vultures and DONATE HERE. Thank you from WVI and the #Vets4Vultures.